Over the past several decades the idea and concepts of catching fish on artificial flies, hand crafted by true fly tying artisans has become increasingly more popular. Wherever you live in the world, someone is catching fish with flies. Today, fly fishermen all over the globe cast flies for every known species that inhabit their waters. Whether it be freshwater or saltwater, lakes, streams or rivers, people of all ages, both men and woman are pursuing their passion of catching fish with flies. As the popularity of our sport increases each year, the demand for dynamic, patient and knowledgeable instructors to teach the art of fly fishing to those in need has become apparent. Each year, hundreds of people seek out the talented instructors at Worley Bugger Fly Co. to teach them both the skill sets needed to begin their fly fishing career as well as the fine art of crafting flies with fur and feathers. Each member of the WBFC staff, excels in both fields of the sport. Below is a list of classes the WBFC offers throughout the year. Each year, we speak with hundreds of people that are just beginning their vocation in fly fishing. WBFC was established in 1995, and since then we have introduced and instructed thousands of people in the fine art of fly fishing and tying. With over two decades of experience, the staff at WBFC is incredibly gifted and skilled in the arts of fly fishing. One statement that is we hear quite often from new fly fisher is the "learning" aspect of the sport and how much they enjoy that experience. Their is much to learn about catching fish on flies and for many, this is a large part of the excitement and thrill for them. For personalities that love to learn as they live, as well as be challenged in an outdoor environment, fly fishing is the perfect one on one sport. At first it may seem overwhelming. Seeking out a reputable, professional, friendly and knowledgeable outfitting service will be vital to your success. If you feel intimidate and unwelcomed upon walking into a fly fishing shop for the first time, then your in the wrong one. 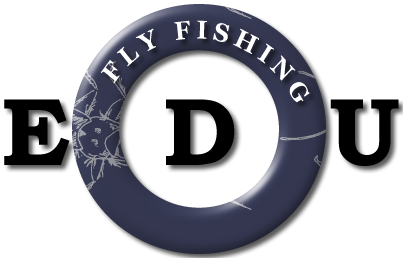 Their are several stages of the sport that each fly fisher must learn, before becoming an accomplished fly fishermen. Fly fishing is often referred to as the "thinking man's" fishing because of the vast knowledge needed to catch fish on an artificial bait, that is unscented and not alive. To become accomplished at the sport, first and foremost it takes time, commitment and dedication. Their are several avenue's of information that you will need to absorb and execute regularly in order to properly learn the skills of catching fish on flies. Having a mentor or an instructor that can "properly" teach you these things will be vital to your success. You will quickly learn that proper technique, form and execution are needed to catch and fool fish with fur and feather. WBFC offers a wide range of classes designed for the beginner, intermediate or each advanced fly fisher. A complete list of classes and their times along with the information is included below. Please feel free to contact us with any questions you may have. Fly Fishing 101 is your introduction to the sport of fly fishing. This is our foundations building class. Here, you will learn the fundamentals of fly fishing, which will introduce you to the sport and give you the knowledge needed to begin your career and advance to the next level. Fly Fishing 102 is the next progression in the WBFC Fly Fishing EDU. Here, more detail and emphasis on casting, presentation, insects and food forms along with a host of other important factors that will aid you in your advancement in the sport. Fly Fishing 103 is your final course in the EDU. In the 301 class, you will be tested and coached over the course of the day as you hit the water with a professional guide from WBFC and put your new found skills to work on the water. The "One Hour" tune up is designed for a person that needs some added help on their casting and presentation techniques. Utilize this hour with a competent casting instructor as they identify and correct any problems you are having. Czech nymphing is a European type of fly fishing with a unique style on it's own. In this class, you will learn the method's of Czech style nymphing, set up and rigging along with the flies associated with this incredible, productive fly fishing technique. Rowing a drift boat or another personal water craft on a big, western river is an art in itself. It can be challenging and dangerous, especially if you have no experience. In this class, learn the secrets of becoming a safe and competent rower from a professional with years of boat handling experience. A must for new boat owners! In order for a fly fisherman to excel at the sport of fly fishing, he or she must understand a fishes behavioral traits and how that fish reacts to certain food types. Once that is accomplished, then that food type must be replicated with the exact fly pattern, constructed by human hand, which is created from steel, fur and feather. Most rivers, streams and lakes are a home to a plethora of aquatic and terrestrial life as well as a host of different baitfish. To catch fish on flies, first you must understand the life cycle of a game fish and how and what it prefers to eat throughout its life. Once acknowledged, your odds of catching fish on flies will increase ten fold. When you can fully understand and identify these important cycles, your next progression is to create, craft and replicate that exact food form. This is called "Fly Tying". 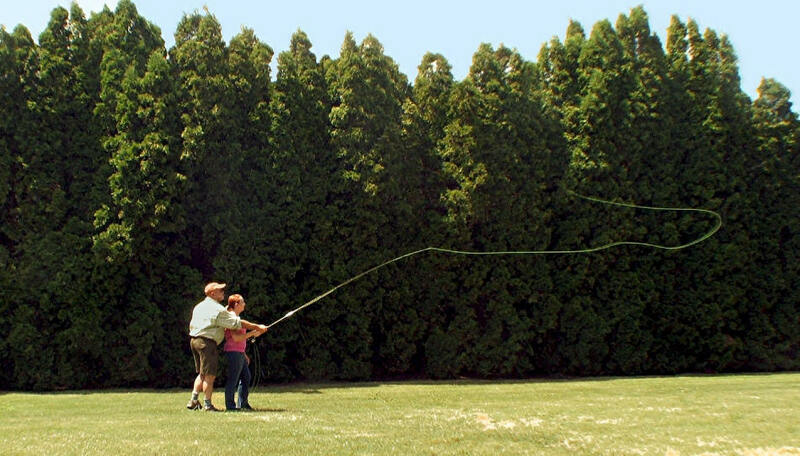 For those that want to excel at the sport of fly fishing, crafting your own unique patters becomes one of the ultimate advancements in the sport of fly fishing. WBFC offers a wide range of classes designed for the beginner, intermediate or the advanced fly tyer. A complete list of classes and their times along with the information is included below. Please feel free to contact us with any questions you may have. Fly Tying 101 is the WBFC introduction to the art of fly tying. Here, you will learn all of the basics information needed to begin building and crafting your own flies. Fly Tying 102 furthers your quest into the fine art of fly tying. In this class, we will begin to build more intricate style flies and you will learn a variety of new techniques to further your skills in fly tying. Fly Tying 103, will concentrate on more elaborate fly patterns for a wider variety of game fish. Here you will begin to learn more advanced techniques and skills to build more technical fly pattern's. Join us every Saturday at the WBFC Pro Shop from 10:am to 1:00 pm as a WBFC Pro staff member shows you how to tie and craft a variety of different and unique patterns each week. Tying skills a must and limited class size. Prepayment and registration is required each week. The guide staff of WBFC has developed this innovative fly tying session called Yakima River 365. This class is designed specifically for the Yakima River Fly Fishing and Fly Tying enthusiast. 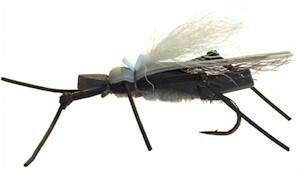 WBFC offers One on One fly tying classes to fit every ones skill level and schedule. Our Pro Staff also offers specialized pattern tying. If you have a pattern you need tying, contact us. We can put it together for you. The WBFC EDU is dedicated to educating anglers on all aspects of fly fishing. One of the most important pieces to that puzzle is fish food. Under our Insects, Hatches, and Baitfish section, fly fishers can learn just which species inhabit our rivers, lakes and streams. You will also have an in-depth look at what flies imitate these food sources. From Stoneflies to Caddis, Crawdads to Sculpin, WBFC has complied a complete index of information when it comes to fly fishing in Central Washington. 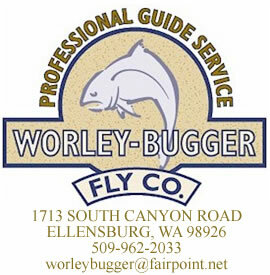 The professional fly fishing team at Worley Bugger Fly Co. is dedicated to helping you become the best fly fisherman possible. Check the sections below for detailed information on insects, hatches, flies and fly tying tips. Over the past two decades, WBFC has compiled a complete identification of all the major insect hatches along with baitfish and other fish food sources that occur on a yearly basis on Central Washington's, Yakima River. Over the past two decades, WBFC has compiled a complete chart of all the major insect hatches along with baitfish and other fish food sources that occur on a yearly basis on Central Washington's, Yakima River. Over the past two decades, WBFC has compiled a complete index of all the major insect hatches along with baitfish and other fish food sources that occur on a yearly basis on Central Washington's, Yakima River.